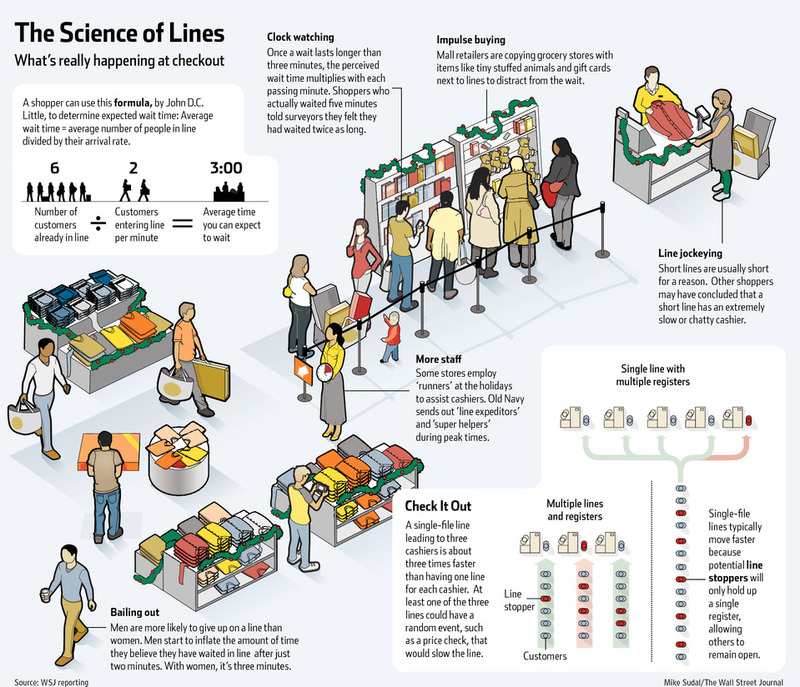 Dynamics and Science behind the long queues you see at the registers. Much of the work grows from more nuanced understandings of how people perceive waiting in line. Shoppers tend to become impatient quickly and fail to take into account key indicators of what may slow down a line. They experience remorse when they feel they've chosen the wrong (i.e. slower) line. And they prefer to choose their own line rather than wait in a single-file line for the next available register—even though that set-up has proven to be faster, research on queuing shows.